Disclaimer: The product was tested on iPad 9.7 with Goodnotes 4 app. It may display differently on another version of iPad and/or other annotations app. To prevent any issues, please download and try the sample. Win the day in 2019! 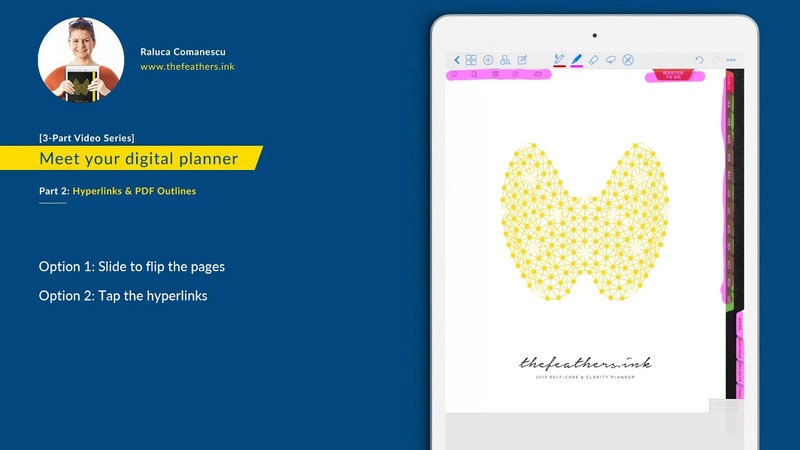 → 2019 iPad digital Daily Planner for Work & Personal + 200 NOTES pages !!! → PLUG & PLAY in GoodNotes / Acrobat Reader. Download it, upload it to GoodNotes or any other app that allows PDF annotation and start planning. Note: The video illustrated the Weekly planner. To see inside the daily version please download and try the sample. ✔ Space for motivational content: "Your awesome story", "Message to your future best self", "Promises to yourself"
✔ 2019 vision plan - 2 pages to write down brave intentions, To Dos and more. Build the "Self-care Bucket List" and add "Healthcare Appointments"
✔ 365 Daily planning pages with: Winning 3 Intentions & plans (includes tracking progress), To Do lists, Win-the-day Schedule. Also includes space for Winning ideas, Winning meals, Self-care Rituals, sport, mood and water tracking + daily wins. 100% secured purchase & download through my Etsy Store. No account needed. GoodNotes/Notability app is not included in this product and can be Downloaded from App Store. This is Digital Product, no physical product will be sent. No refunds Accepted for Digital Products. For tutorials visit my Youtube Channel. ✅ Get 50% OFF on FUTURE digital goodies for 🕓 24 hours after we launch them. Don’t miss it out. Get productivity tips, occasional discount codes for the digital planners, free samples and news.